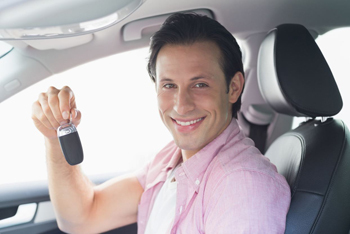 View, modify or cancel your car rental reservation. If you've booked a vehicle on our website, you'll have the ability to view, modify or cancel the reservation from our “Reservation” page. RRR Unexpected events may arise that require a change to your travel plans, and like a curve ball may mess up perfect plans made way in advance. If you’ve made a car reservation, and find yourself with just the predicament, we would like to present a guide designed to provide tips for changing reservations booked through AA Aloha Cars R Us Inc. 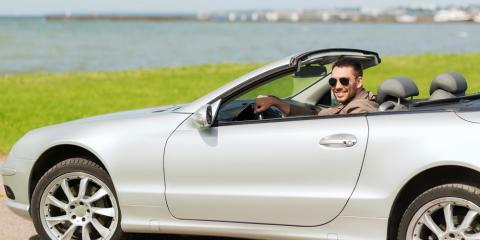 However, much of this guide applies to any of the major car rental agencies, regardless of who booked the reservation. As soon as travel plans change, do not put this task off. If this change is needed after a day or two, often the same daily/weekly rate can be obtained. Overall, after almost 30 years in the industry, I would say the majority of modifications have an satisfactory outcome. The good news: There is one situation that does not require any modification, that would be if you are simply arriving later on the same day. Agencies fully expect delays, even extended ones. All modifications are not created equal! Since our service books substantial discounts from these agencies, there are unique variables to consider, such as how much the inventory has changed since the booking as well as promotions the agency may have been running at the time of booking. Changing dates or rental times normally effects the length of rental and rate. For the most part people understand, however, in some cases it leaves very little available options. Worse case scenario's are modifying at the last minute or during peak rental periods or worse on holidays where there may be little to no availability. If the date you want to move to is sold out of all vehicles, outside of a waiting/watch list there is no modification possible. Changing a last name on a reservation requires re-booking, you’re dealing with a new rate from what is currently available & new reservation number. If you’ve prepaid for your rental car, you are subject to change penalties, these fee’s and phone numbers to call will be included in the documentation you received when you booked your prepaid Hawaii rental car. Owner Insight: Understand behind the scenes there is a high “no show” rate in Hawaii, upwards of 20% of people are not cancelling or showing up. Bottom line, if a credit card is not required to book, there will always be a high rate of no show’s. Hawaii car rental agencies have a limited vehicle inventory to begin with, imagine the balancing act management at these rental facilities face everyday with booked cars that are "no shows". Grey hair early! Ultimately, the rental agency you made your car reservation with will determine whether a modification is allowed and what, if any, the new totals are, so it’s crucial to make any changes as soon as possible. RRR To modify your reservation, click here you'll need your Reservation number, First & Last name on the booking. Our system will guide you to the available vehicles you can modify to, at this time you can select a different vehicle class if it works better for you. Be prepared that any modification can lead to significant changes in the rate as outlined above. If you are modifying to a sold out date, you will see "vehicles not available", I suggest making contact with us in a sold out scenario, modifying at or around the holidays can lead to limited options & issues. Prepaid reservation modifications require you make personal contact with us via phone or email..
What happens if.. you come back to the site, a lower rate is now available for the same vehicle? If your modification does not cause the system to re-rate, the system will keep the original booked rate locked in. In further detail: Let's say you make a reservation, then, at a later date you come back to the site to find that same car $50 cheaper. You attempt to modify your reservation to the lower rate. You will find the system will not modify to the lower rate. This is due to a built in fail-safe of the system. To successfully modify the same vehicle (same itinerary) to a lower rate that has now become available on our site, there are ways of accomplishing this. The solution is to either change a parameter causing the system to re-rate (like changing a rental time 30 minutes later). Or, simply re-book a new reservation at the lower rate, then cancel the original booking only after the new reservation is successfully made. Please attempt to modify the reservation on the site, if you need to speak with a representative, email or call (1-800 655-7989) or (808) 879-7989. Modifying Advantage or E-Z Car Error. We are currently experiencing a glitch (affecting about 1 out of 50) when trying to modify vehicle classes with Advantage or E-Z Car. We are currently working on the problem and expect to have a solution for the next few days. If you need assistance with modifying an Advantage or E-Z Car reservation to a larger or smaller, vehicle please call or chat with us. We apologize for any inconvenience.